A famous gang member whose son was injured in an ‘attempted hit job’ three months ago was shot dead at a drive-thru in America while waiting for a cup of coffee, according to reports. 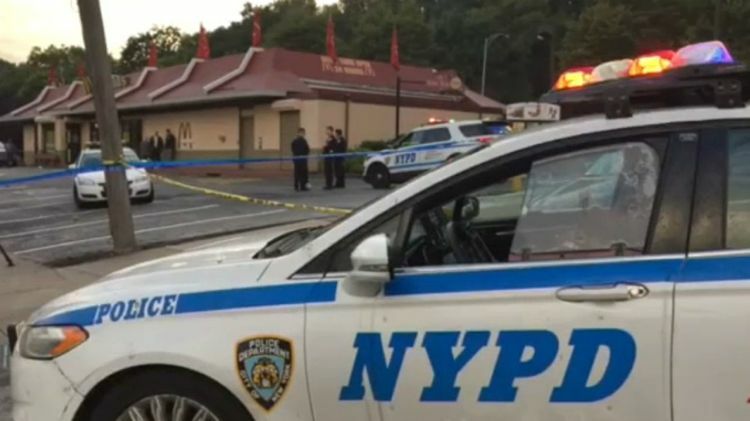 Sylvester Zottola, 71, an alleged member of the Bonanno crime family, was shot in the head, chest and shoulder while he was sat in his car outside a fast food restaurant, law enforcement sources told the New York Post. It has been reported that Zottola had ordered a medium coffee at the drive-thru when his car was boxed in and a gunman open fired. This isn’t the first attempt on the life of a member of the family. His son, 41-year-old Salvatore Zottola was injured when a gunman opened fire on him outside his home in the Bronx on July 11. The shooting was caught on camera at the time, but Zottola did not press charges and no arrests were made. Back in 2017, Sylvester Zottola was walking near his home when he was clubbed over the head by an unknown assailant, and two months later, a man with a gun tried to force him into a car. But the most vicious attempt on his life came in December when he walked in on three burglars ransacking his home. One of these burglars pulled a knife and stabbed Zottola in the neck, which put him in a critical condition. No arrests have yet been made in the killing, but police have described the gunman as a black man wearing a hooded sweatshirt and dark coloured pants. Witness Juan Bravo told the New York Times he thought that a woman and a baby were in the car, but added that both seemed to not have been injured during the shooting. His killer was said to have fled in a grey vehicle, according to police.